When you are first installing your home audio system, nothing is more important than making sure your speakers are all set up in the correct place. If you don’t focus and set them up in an ideal a manner as possible, you will just not get the best sound from your system and your enjoyment factor will go right down. The number of speakers you have may vary from those detailed below, simply due to factors such as cost or the size of your room, however, the tips below should cover the speakers you do have, so make sure you set them up as specified. When you are choosing your front speakers, always make sure they are going to fit in with the look and feel of the room you are going to be placing them in. This is because they should be placed in full view, on either side of your television, so you want them to look good. Also, keep in mind they should sit at about ear-level height when you are seated. Ideally, you should set them both at an equal distance from your TV, ideally about 3 feet and at a 30-degree angle towards your listening position. This 30-degree angle will give you the best possible sounds results to your listening position and ensure all music and sound effects coming from your TV are as realistic and clear as possible. When you are choosing a center channel speaker, you should aim to buy the biggest one you can afford. Obviously, you will need to choose wisely, in order to ensure it matches your other speakers and will not look out of place in your room, so try not to go too overboard on the size factor. The center channel speaker is important and should be placed directly above or below your TV. This is because it needs to project sound, such as dialogue, straight at the listeners in order to ensure the sound being emitted appears to come directly from the screen of the TV. As with your front speakers, your center speaker should also be placed at ear-level height for when you are sat down. Having surround-sound speakers will ensure you get the best possible results from your front speakers. This is because they are designed to work in tandem with the speakers at the front in order to totally submerge you into the music and other sounds you are listening to. These speakers should be split up, one on the right and one on the left, as with your front speakers. You should look to position them to the sides and a bit behind where your primary listening position is and pointed at an angle towards your listening position. This will ensure you receive the best possible results from the speakers. These speakers work better when they are positioned just above ear-level height. To be honest, you should be able to place your subwoofer anywhere in the room and receive a good bass sound. You also don’t need to worry about placing it at a certain angle. However, you do need to avoid placing your subwoofer in the corner of your room as this will make the bass sound too heavy and ‘boomy’. 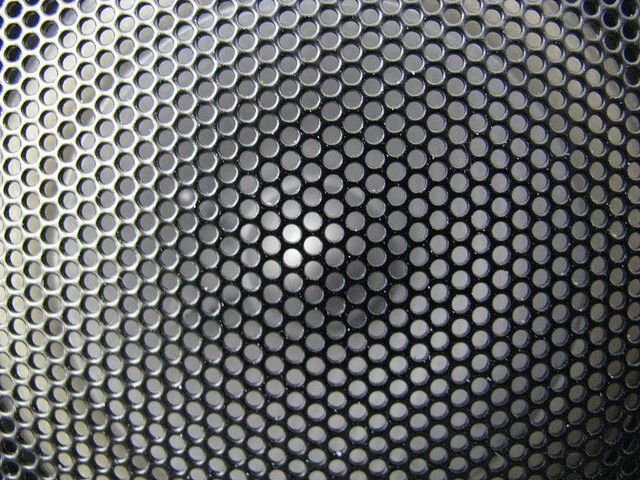 Since subwoofers come in such a wide variety of sizes, ranging from small and neat to the downright monstrous, many people choose to place the speaker out of the way. It is, therefore, a good idea to consider size before you buy, especially as you probably don’t want the subwoofer taking over your entire room. James writes for Mains Cables R Us. When not writing, he can often be found setting up speakers for co-workers.